Stakeholders in Yoruba movie industry seem to understand the popular saying, that all work and no play makes Jack a dull boy. From tomorrow (Monday) the movie industry will go on holiday and there will be no movie release of any kind until February 2009. Perhaps you are wondering how to get their movies to watch, don't worry for too long, they have a plan in place. Tomorrow, the marketers of their movies would release historic 37 movies as against 25 which was the legal quota given to them by Censors Board. A marketer who refused to mention his name on the ground that he is not the spokesperson for the association, said the rationale behind the release of historic 37 movies since the dawn of bi-monthly 25 movies is to adequately cover for the weeks the industry would be on holiday. “People will be at home during the Yuletide and the New Year and one thing they would probably look forward to as means of relaxation would be our movies. We want to make sure they have their fill, hence the release of 37 movies,” he said. 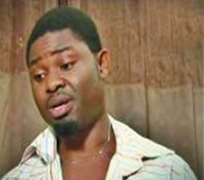 One of the movies that fans of Yoruba movie industry are looking forward to is Jennifa 2.